Tomorrow I will be 26 weeks into my first pregnancy, the reason behind the grinding halt of my blog! As one of the ‘lucky ones’ who has managed to leave the first trimester morning sickness well behind me, I am now enjoying food almost as much as my pre-pregnancy days… so long as there is no steak or eggplant in sight! Paul and I have just returned home from a short stay in Melbourne, where we were required for babysitting duty for my nephew Jack. With such bitterly cold weather in the city, we found ourselves almost constantly cafe-hopping for a couple of days! 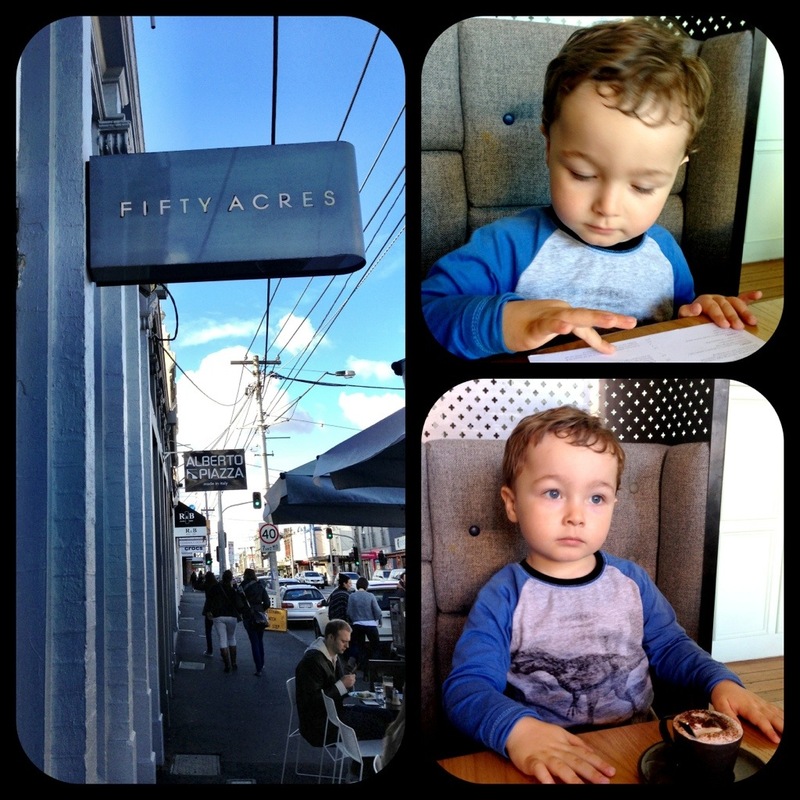 A favourite spot of ours is Fifty Acres on Bridge Road in Richmond. On both visits, I could not go past the hazelnut and cranberry meringue cakes. Delicious! I am hoping that I can find a recipe for these so that I can make them at home. Little Jack copying the adults and choosing from the menu. He also had a lot of ‘coffee’, as he calls it, over the course of our visit. Really they are just babycino’s. The Fifty Acres meringue cake. 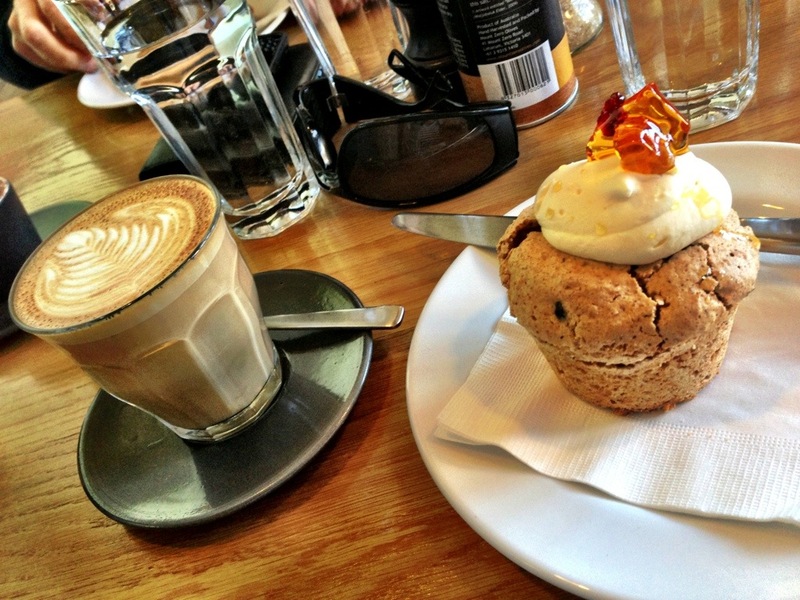 On this visit to Melbourne, we also managed to find a new little eatery that serves up quick eats in an instant. 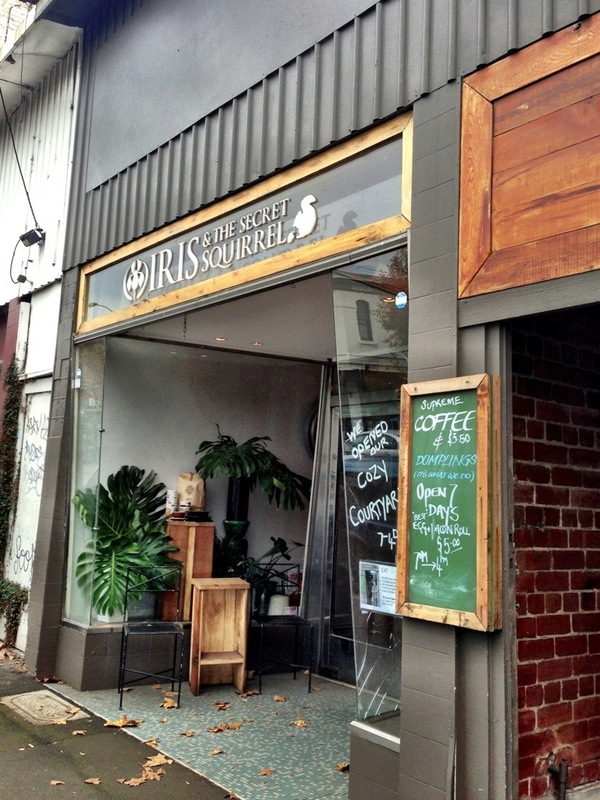 ‘Iris & The Secret Squirrel’ is located on busy Swan Street in Richmond. It was once a flower shop with a small cafe attached down an adjoining narrow lane way. The flower shop has made way for additional seating indoors and it is now solely a cafe. 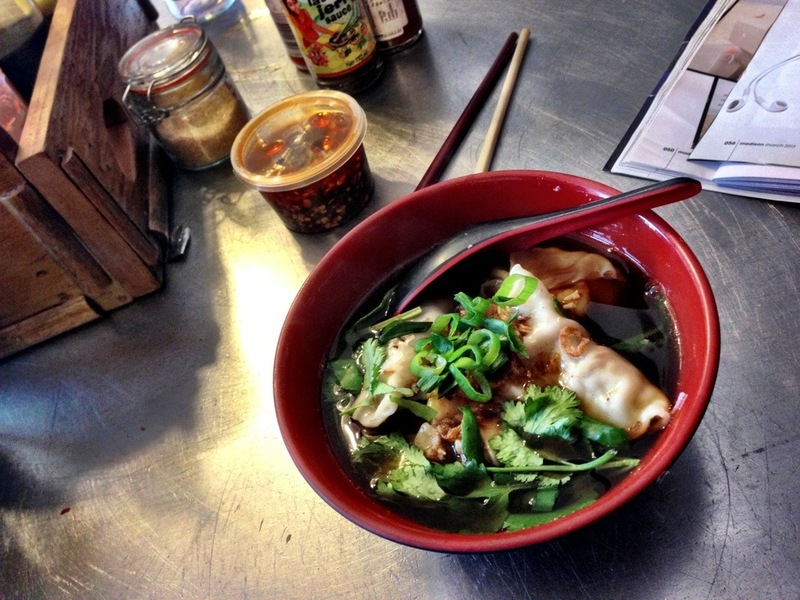 Given the wind-chill factor outdoors, Paul and I both opted for dumplings served in broth. I chose a mix of chicken and lemongrass, with pork and prawn dumplings. Cheap and delicious – we will definitely return to this place! We couldn’t resist take-away slices as well. Everything is homemade here and it is very hard to resist! 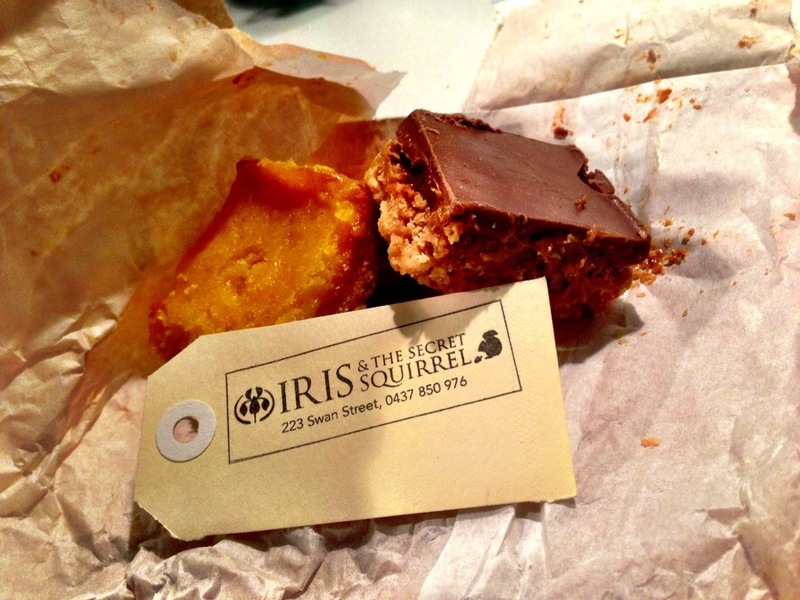 We left with a selection of two slices – caramel and lemon curd. I should have blogged about my food this week, it has been superb. Just a little bit of sarcasm I detect there… Never mind, you’ll be enjoying your own cooking again as if tomorrow!